I am about to show you the worst core exercise you have ever seen! It shows a “doctor” prescribing an advanced core exercise. The problem is he is going into extreme hyperextension. This position repeated over and over can cause spondylolisthesis and even spondylolysis. Here is a great explaination from Cassandra Forsythe I pulled from Mike Robertson’s site. 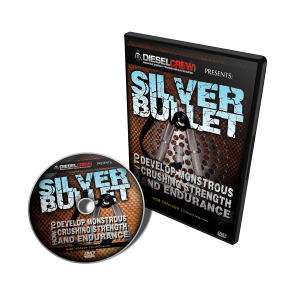 Or pick up the best selling DVD! 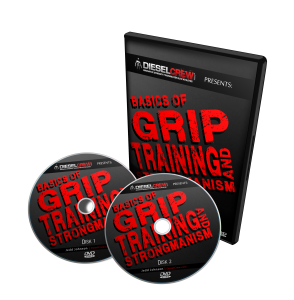 They call it the best core training DVD on the market! When Keeping It Real…Goes Wrong! 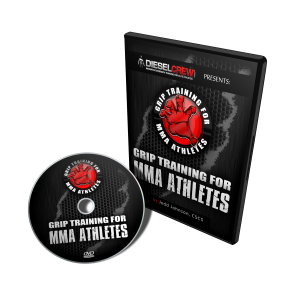 This entry was posted on Thursday, July 2nd, 2009 at 12:05 am	and is filed under how to build muscle, injury rehab recover from injury, muscle building anatomy, strength training muscle building workouts, strength training to improve athletic performance, strength training workouts. You can follow any responses to this entry through the RSS 2.0 feed. Both comments and pings are currently closed. He’s not repping CrossFit too well either. What about training for back flexibility such as bridges and any sort of walk over? Do those damage the spine in the manner displayed in the video? This is by far the worst thing for my back… He seems to get away with it (at least for the time being), but one rep and I’d be out for a month. One favor please sir: Could you please talk about how this differs from back bridging (which has a similar ROM, but is more static in nature and involves different muscles contracting)? Before I even started the video and just saw the exercise description, I thought of Crossfit, and low and behold, it is a CF guy. If you say anything to those people they defend it like crazy. What about Gymnasts though? They do that from the time they are little. What about some Yoga poses? Are those the same? Yes flexibility in the back is good if you define where the flexibility originates. Yes, there is a high risk for gymnastic and those who participate in yoga asanas that promote flexibility in the segments of the lower lumbar. When I saw him getting set up, I was thinking, “ooooh nooo”. Gee, let’s hyperextend the lumbar spine and then use a forceful, aggressive contraction to rapidly pull us into lumbar flexion (possibly with a rotation). At the top of the movement he is practically in a slump test position! Wow that hurts just looking at it! I like how he says not to do it if you have a weak back. I think if you didn’t have one, you would by the end of that set. In reference to Laurel, how is this a Crossfit guy? The video I see is for bender ball? Spody’s are very common in gymnasts due to what you said in conjunction with forceful repeated landings. My question is in regards to Cassandra’s reference to “weight lifting.” Is she referring to the actual sport or to lifting weights in general? I’d like to say that this would be due to technical flaw, which you don’t see very often in advanced weight lifters, but you would see in a gym with people who don’t really understand how they are to set up for specific lifts. What are your thoughts? And what situations would you see in training (athlete’s or the general public) that could lead to issues this severe? Did I miss something or did this video change? I see an ad for something ridiculaous called a Bender ball. Nothing with a doctor as decsribed in the text. Yes, the video changed, it was taken down from Youtube. – inexperienced weightlifters who achieve extension not in the segments buffered by the longissimus but rather in the lower lumbar (L1-L5). If you look at experience weightlifters and powerlifters this muscle (longissimus) is hypertrophied like crazy because they are distributing the load correctly. So the benderball is bad? The video has changed. Why was it replaced by the bender ball? Is it because the ball pushes into the spine? I’d very much like to know what the original exercise was. Can you describe it? Back bends are done in yoga, but we are always taught not to bend the lower back (at least the good yoga teachers say this). The bend is actually supposed to come from the thoracic spine. They call these “heart openers”. If you don’t open the heart, the lower back collapses and and that is very bad. How can you say it’s the worst exercise when it’s 408% more effective? And you just have to use a freakin’ ball?